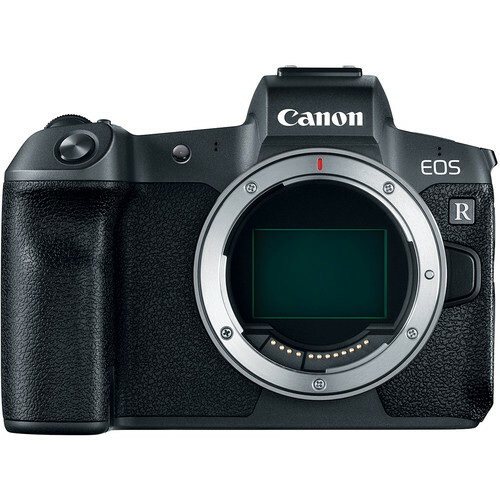 Box Dimensions (LxWxH) 11.1 x 8.9 x 6.0"
EOS R Mirrorless Digital Camera (Body Only) is rated 4.5 out of 5 by 131. Rated 5 out of 5 by MDVaden from Excellent value, performance and images I bought the EOS R to add alongside my Canon 5DS. The body is comfortable, and the controls are better than some people realize or speculate. It just takes a few days to adapt. The EOS R turns EF lenses into "new beasts" whereas they function better than I've ever seen on my 5D mk iii or 5DS. I got the new RF 50mm 1.2 also and its one of the best lenses I've ever used. I plan to order a future similar body later with two card slots, but I found that the Wifi transfer of JPGs suffices for a backup option (but I've never had a bad SD card in 10 years). The EOS frame rate is not speedy, which is noted in the specs, but I do not cover sports or fast wildlife. So this camera is almost perfect for me. 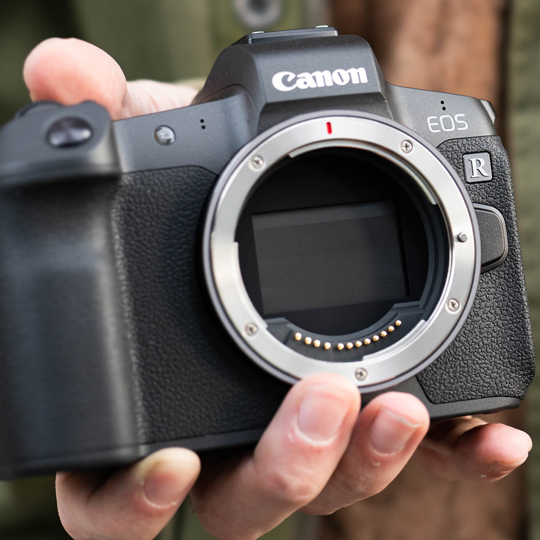 Is there something to protect the sensor when there is no lens attached? The camera has a built in physical shutter that by default closes when the camera is off and when the lens is detached. You can override it in the menus, but that is what it does by default.